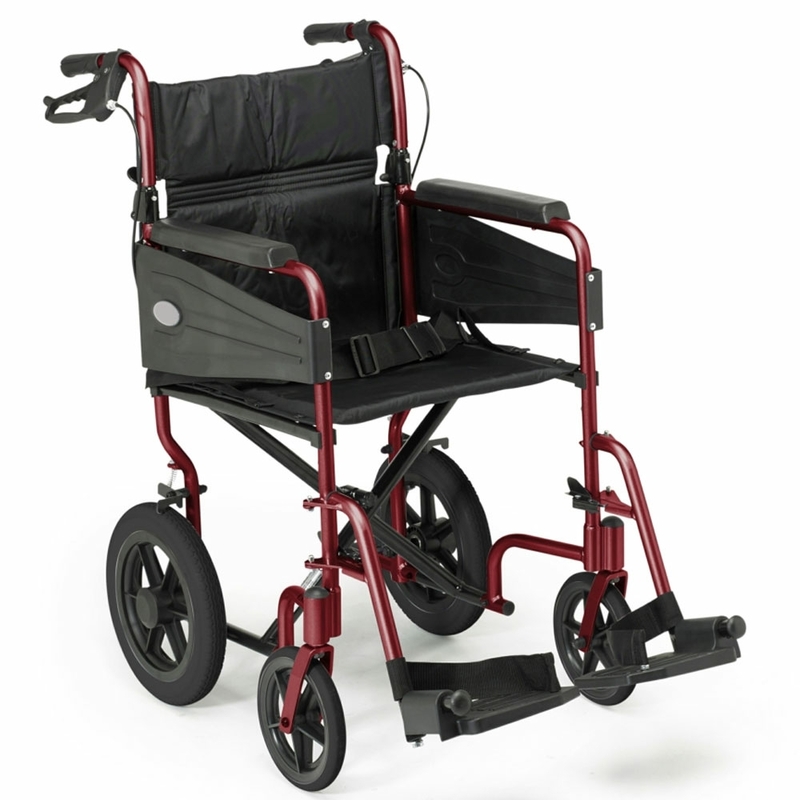 The Escape Lite extremely light and foldable frame has been specially designed for ease of transportation and storage, making it an ideal chair for occasional use. The Escape Lite is suitable for both indoors and outdoors, giving you flexibility wherever you go. In addition to being lightweight, this attendant-propelled chair offers both comfort and practicality. With a full-length armrest, padded upholstery, and detachable swing-away footrests, it provides all the basic comfort necessities. The Escape Lite also has the added benefit of simple maintenance with puncture-proof front castors. • Half-folding back to make reaching behind you easier. • This also makes the chair more compact for storage.